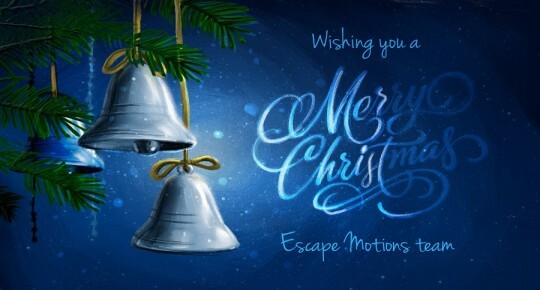 We at Escape Motions team wish you merry Christmas filled with peace and happiness and a prosperous new year. May this incredible time of giving and spending time with family bring you joy that lasts throughout the year. Thank you for your endless support and another successful year of doing what we love - creating unique and innovative software for all of you.